Meet learning friends Turtle, Tiger and Monkey who will introduce more than 100 age-appropriate words chosen by learning experts. 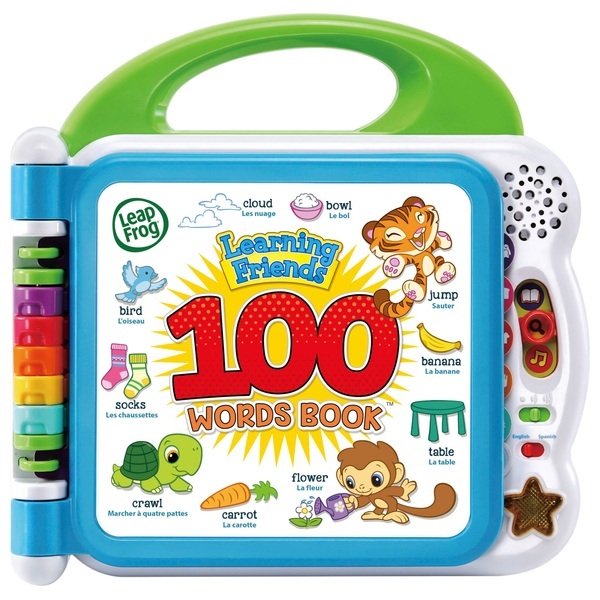 Touching the words on the pages plays the words, exciting sound effects and fun facts. Everything in the book including words, songs and instructions can be heard in both English and French for a full bilingual experience. EU Warning: All packing materials, such as tape, plastic sheets, packaging locks, removable tags, cable ties and packaging screws are not part of this toy, and should be discarded for your child’s safety.